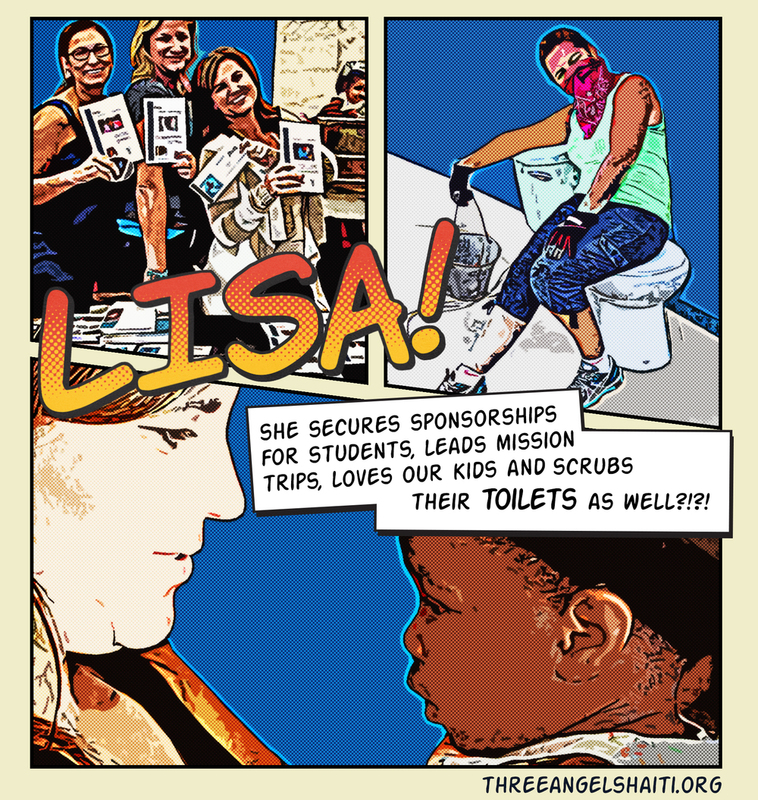 This summer, we are getting into the superhero spirit by highlighting a few of the people who serve children and families in Haiti in truly amazing ways. Who needs a cape, a mask, or x-ray vision when you have the heart and grit of these men and women?! These are the true heroes, using the everyday disguise of sponsors, volunteers, advocates and donors. We encourage you to join forces with us as we work to change lives, restore health, support families and empower those who need your help. Send out the super signal, and host a small fundraiser. Wear some BIJOU instead of putting on those tights. Whatever your involvement, know that you are the hero this summer. To find out how to get involved, click here or send us an email at peter@threeangelshaiti.org. Be sure to follow us on Facebook, Instagram and Twitter to catch each featured comic of our superheroes! Who knows... the next one might be YOU!